Happy Valley Farm – Re-commissioning of irrigation pump station and refrigeration distribution plant electrical and control systems. Deployment of irrigation valve control utilising Fleck VC RTUs. This project deployed in Wemen consisted of 65 Datacall Fleck RTUs with each node driving 1-3 valves for vineyard irrigation. The Fleck network was interfaced with the sites existing Pump Station PLC via RS232. A new irrigation scheduler was developed in ClearSCADA and Proface HMI. 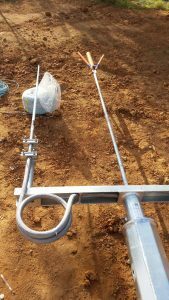 Deployment of soil moisture monitoring solution using Flecki. Flecki monitoring sites extended to the existing Valve control mesh network. Design and construction of pipeline radio telemetry system using Trio J-Series unlicensed radios. Datacall Telemetry Pty Ltd was engaged to design, implement, test and commission the automation and SCADA system on behalf of the Principal contractor Foreman-Sheean Electrical. Affiliated company Sunraysia Engineering Consulting was engaged by Wannon Water to develop a corporate wide SCADA Strategy. Including a SCADA package comparative report and strategic documentation. 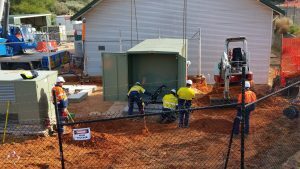 Datacall Telemetry was engaged by Wentworth Shire Council to design the SCADA system for their Water and Waste Water Infrastructure. Preferred Contractor for System Integration and automation support services since 2014. 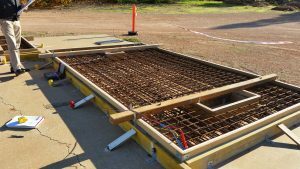 Sunraysia Salads – Pump Station and Dam Monitoring – 2014. Goolwa Pumps – various application sewage, irrigation, water sites on behalf of SA Water, Goolwa Council etc – 2008. Motorola – Motorola utilised Datacall RTUs for monitoring of SA Emergency Radio Network communications infrastructure – 2008. BKIT – monitoring and resetting of pumps within its high pressure pump station – 2009. Wentworth Shire Council – SPS critical alarm monitoring and secure SCADA network communications to main office – 2014.